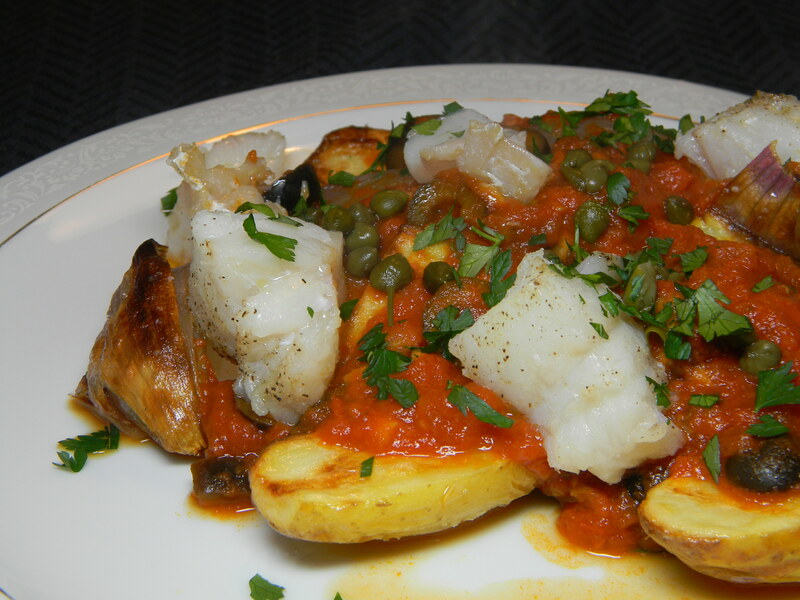 ** We used Hake, a cod-like fish from New England – delicious! Place fish in an 8x8x2″ glass baking dish. Drizzle with remaining 1/2 tablespoon oil and season with salt and pepper. Place on bottom oven rack and roast with potatoes until fish is just opaque in center, potatoes are golden brown and tender, and shallots are crispy, about 7 minutes longer. Original recipe from Bon Appetit available here.